Planning a gluten-free trip to New England? 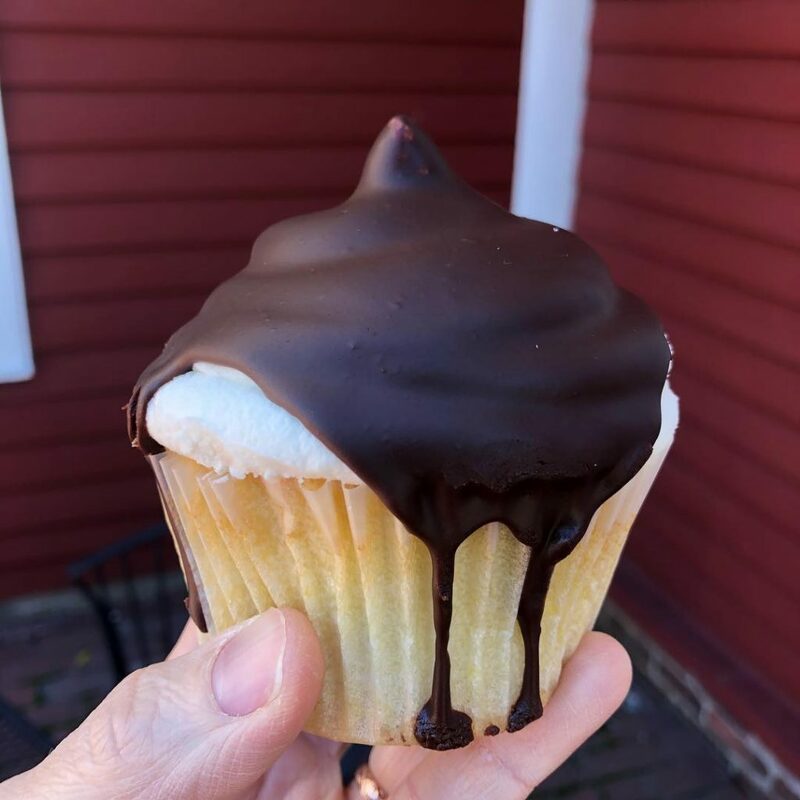 From Connecticut to Maine, the region is full of delicious gluten-free eateries, bakeries, markets, and more, selling everything from Boston cream cupcakes to fried clams. Let’s go! Our first stop is Gluten-Free Oasis in Danbury, Connecticut, home of pao de quejo, or Brazilian cheese bread. This place cranks out authentic and delicious cheese rolls and waffles for ready-to-eat sandwiches, bags of rolls to take home, and wholesale accounts. And, every customer gets a free sample. Maggie McFly’s, a CT chain of restaurants serving celiac-safe options, offers delicious sandwiches on local Brazilian cheese bread along with dedicated gluten-free fries, chicken tenders and more. Traveling north past Hartford, we reach Pure Love Gluten-Free Bakery in Avon, CT. From English muffins to cinnamon buns, cookies, bars, pizza dough and their forever-famous granola, you’ll wanna try everything. They’ve got paleo and vegan options as well, and no matter what you choose, you’ll walk out happy. From Connecticut we head east to Rhode Island where we could spend a week sampling all the gluten-free deliciousness in this small state. We begin at 210 Oyster Bar and Grill in South Kingstown, for one-of-a-kind GF dishes and seafood from dedicated fryers. From there, we head north to A & J Bakery in Cranston, easily the largest dedicated gluten-free retail bakery we’ve seen. Yum. From there we continue north to Blackie’s Bulldog Tavern in Smithfield for awesome comfort food and where the gluten-free menu reads like a book; a really good book. We zip into Providence for a quick gluten-free and vegan ice cream sandwich at Augusta St. Kitchen before heading out of Rhode Island. Our first stop in Massachusetts is dedicated gluten-free Twist Bakery & Café in Millis. Breakfast, brunch, lunch, or just coffee and a cookie, Twist has it. They’re also a full-service gluten-free bakery and offer prepared foods like turkey empanadas and chicken pot pie. We pop into Boston for some gluten-free and vegan mac & cheese from Jennifer Lee’s Bakery and the most delicious GF donut from Kanes Donuts (dedicated donut fryers!). Before heading west, we add in a quick stop at Something Sweet Without Wheat for a loaf of the best GF cinnamon raisin bread “evah,” and then pilgrimage north to Woodman’s of Essex in Essex, MA. Adored by visitors and locals alike, Woodman’s celiac-safe fried seafood menu includes clams, shrimp, fish and chips, calamari and more. Heading west, we visit Red Heat Tavern in Westborough, MA for totally fun and celiac-safe munchies, including corn bread, fries, and onion rings (Red Heat Tavern has additional locations throughout CT and Massachusetts). From there we go to Auntie Cathie’s Kitchen in Agawam. Cathie runs a café and a dedicated gluten-free bakery where you can get one of these monstrous gluten-free, dairy-free Boston Cream Cupcakes. We head directly north to Brattleboro, Vermont, home of Against The Grain. Their delightful factory store has free samples, discounted items, pizza crusts, and fun factory viewing windows (leave time to admire the mural on the front of the building!). From Brattleboro we head north to Norwich, home of King Arthur Flour. We tour the grounds, learn the history, watch a food demo, and shop their massive retail store, stocked with all of their GF offerings. Next we head to The Skinny Pancake for a totally fun meal of sweet and savory crepes (the Skinny Pancake has 8 locations in VT). Driving north, we end our VT visit in Burlington with an incredible GF “Montreal Style” bagel from Myer’s Bagel Bakery. Wow. Heading directly east into northern New Hampshire, our first stop is beautiful North Conway, home to Peace of Mind Baking. Visit any coffee shop or store to sample the uh-mazing treats that this mom-owned company supplies for the entire region. We grab a safe and delicious pizza from Flatbread Company along with one of their awesome Gluten-Free Territory desserts before heading south. In Rochester, NH, we stop at 110 Grill in for a totally hip meal of celiac-safe burgers, fried pickles, flatbreads, and more (110 Grill has numerous locations throughout NH and MA). Continuing south, we hit the always celiac-safe Burtons Grill for a fabulous upscale meal (Burtons also has multiple locations throughout New England). We end our New Hampshire trip with a visit to Luccianio’s Café in Londonderry. The cakes and treats from their dedicated gluten-free bakery are as beautiful as we’ve ever seen. Continuing east to Maine, we hit Portland’s dedicated gluten-free Bam Bam Bakery for our fill of incredible treats. From there we travel north to Bar Harbor to feast on dedicated GF fried clams, fish and chips, and lobster rolls at Geddy’s. Heading north once again we stop at Wildflours Gluten-Free Bakery, because we never pass up amazing GF treats. We end our Maine visit at Gr8ful Pie in Orono, our favorite spot for sweet and savory gluten-free hand pies. New England’s got six states, millions of people, and a thriving gluten-free and allergen-free community. Visit Gluten-Free New England’s website, www.wickedglutenfree.com to browse our dining directory, read reviews, and learn about our expos and events. Abby Helman Kelly owns Gluten-Free New England. She holds a bachelor’s degree in Communications from Boston University and a master’s degree in Counseling Psychology from Loyola University Maryland. 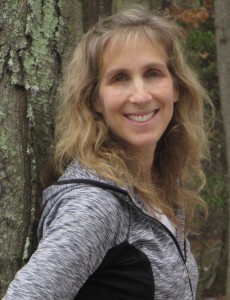 She’s a Connecticut resident, a married mom of four, and passionately committed to her mission of providing the best gluten-free/allergen-free information, education, and support to the New England Region. Gluten-Free New England is the region’s premier resource for healthy gluten-free living. Their website, www.wickedglutenfree.com offers product and restaurant reviews, recipes, blogs, personal stories, and local happenings. They also organize large-scale expos and events and collaborate with Boston Children’s Hospital for outreach and support activities.